"How many reps can a player get in your practice?" To answer this question, one day pick a player out, count how many touches that players gets in practice (on ball defense can count as a touch). You may be shocked at the result. The problem can be solved with a little preparation. 1. Name Your Drills Would your team know what you were talking about if you yelled out that name right now? Have the same name for your drills all the way through your organization. Have fun naming it, making it fun can make it more memorable. That way, kids simply respond faster to set up when they can recognize by name what drill is expected. 2. Use Injured Personnel or a Manager Meet with your injured guys or managers prior to practice. Managers can vary depending on your situation. It can be a volunteer parent a younger sibling, some schools even offer credit for this activity. Let them know they are vital part of ensuring a efficient practice. Keep balls stocked on end lines and drills, layout cones, keep water bottles filled. Injured players may not like those jobs, but what is the other option? Going home? or just hanging out because they need to be part of the team? We all know that ends up in them being distraction. 3. Surround the Field with Water Bottles Water breaks? Go back to the stone Coach Flintstone. If you have water bottles, put them around the outside of the field. You should never have to stop practice to have a team water break. Most water breaks come from coaches who need a few minutes to figure out what to do next. What’s more, it is not good for the kids to stop exercising, drink of a ton of water, then resume exercise. It is much better if the kids can take little sips in the course of practice. Think of how a marathon runner drinks water. They do not even stop running! You certainly do not need to stop the entire practice. 4. Teach at the Beginning, Then Focus on Speed Blah Bla Bla is all kids hear so often when coaches lecture. Spend about five to 10 minutes prior to practice going over your X and O points. Coaches spend way too much time throughout practice teaching verbally. I wish coaches would just stop talking and assess how much what they said the kids actually took in. You will soon realize the more physical situations you put players into, the more they will learn. 5. Enthusiasm is Contagious Your players will share your passion. If you are excited about the next drill, they will follow. If you walk around and seem unorganized, so will your team. We all have our down days, we are human. On those days ask somebody else to take the lead, a captain, a assistant, whoever, just be sure the person who is leading can have passion on that day. 6. 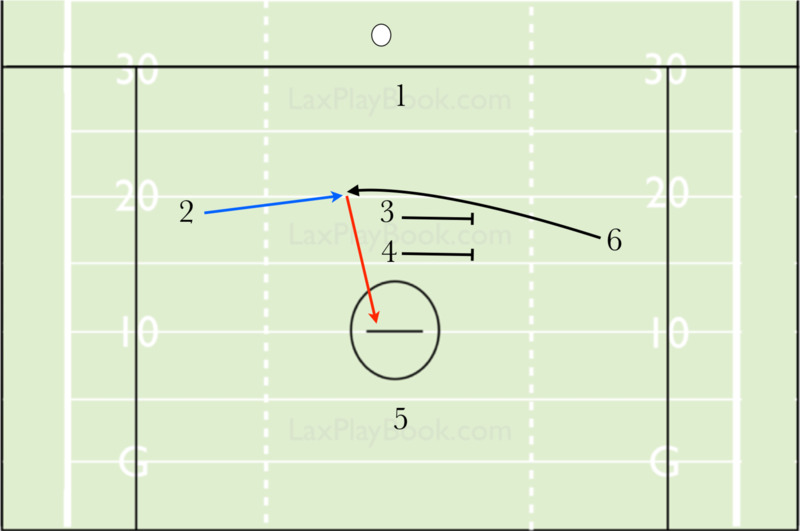 Build Up Drills to Focus Practice Many coaches like to end with a 6v6. What are you doing to build towards that? Most of us start practice with very specific skills then work towards an a activity that includes all skills ie… 6vv6 or full field. Pick one thing that you want to see done in that final drill. Make a plan to focus on that drill and build on it. Later in practice, you can use an earlier drill as a quick reference of expectation. 7. Run Stations Stations are a great way to take care of reps and focus on areas that are weak in your program at the time. If you run three stations about 8 minutes, you get a solid 25 minutes of work in on areas your team needed to address. 8. Avoid Creating Time for Chit Chat How many times have you seen line drills with 10 kids waiting in line? How many times have you seen 30 player team doing 1v1s? If you are running drills where players can talk about what they are doing after practice, then you need to figure out a way to divide the team into smaller groups. You can run multiple drills at once to prevent long lines from forming. If you like line drills, you can break them into multiple line drills. If you like 1v1’s you can break them up into 2-3 groups. Even if you have only 1 coach and 1 goalie. Having to creativity modify or have a little trust in team leaders is better then them standing around. 9. Post a Practice Plan Post or e-mail your practice plan to your players the previous night. This allows them to mentally prepare and will help them anticipate the next drill so theres less wasted time. I am aware that every player will not read it. However even if a third of the team reads your practice will go much smoother as it will take away the time of you explaining what is going to happen next. A third of your team will know where to go, the rest will follow like sheep. I hope this helps you out in making practice go a little faster!